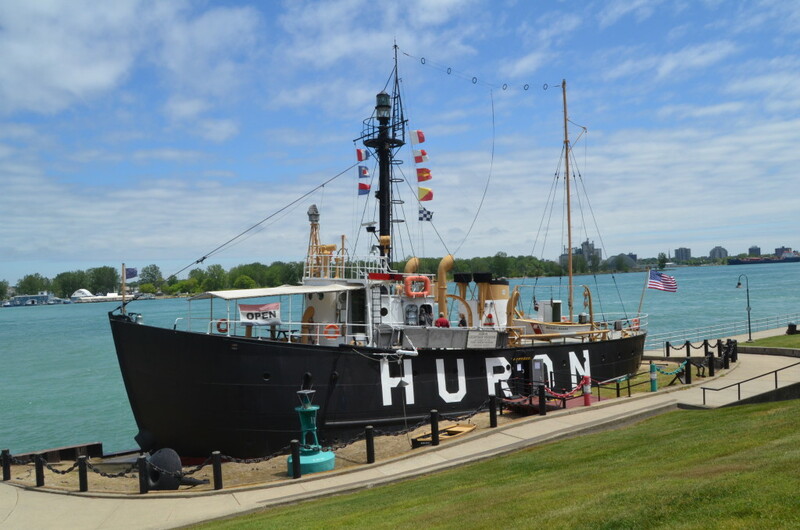 Michigan is known for being home to more lighthouses than any other state, but it is also home to the only surviving Great Lakes lightship – the Huron Lightship Museum in Port Huron. 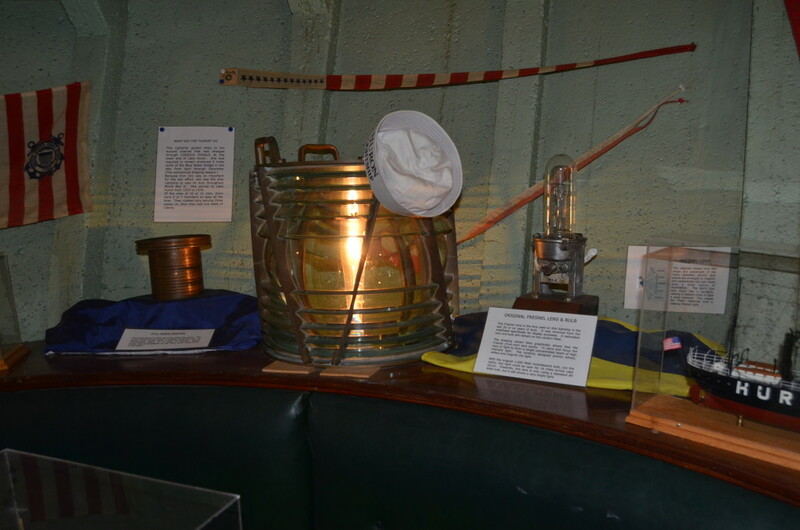 Lightships were used in places where it was too hard or too expensive to build a lighthouse. 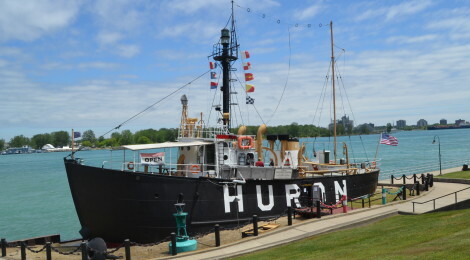 There was a lightship stationed at Waugoshance Shoal before a lighthouse was constructed, several lightships manned Corsica Shoals (a sandy area near Port Huron), and the lightship Buffalo served on Lake Erie. 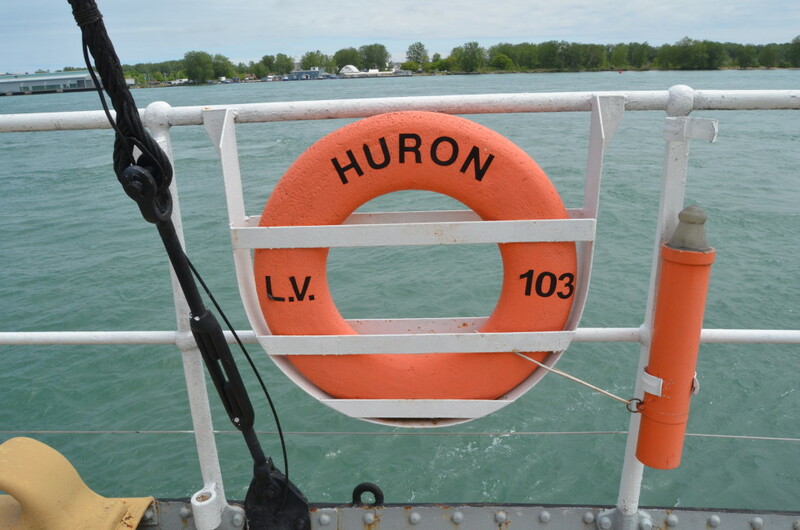 At one time there were 10 of these vessels on the lakes, now only the Huron remains. 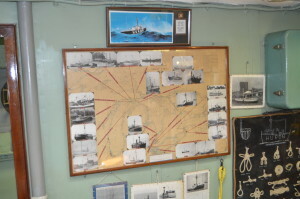 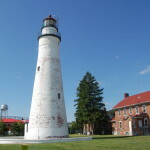 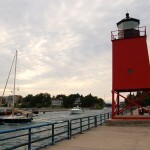 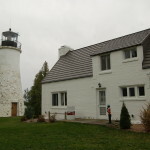 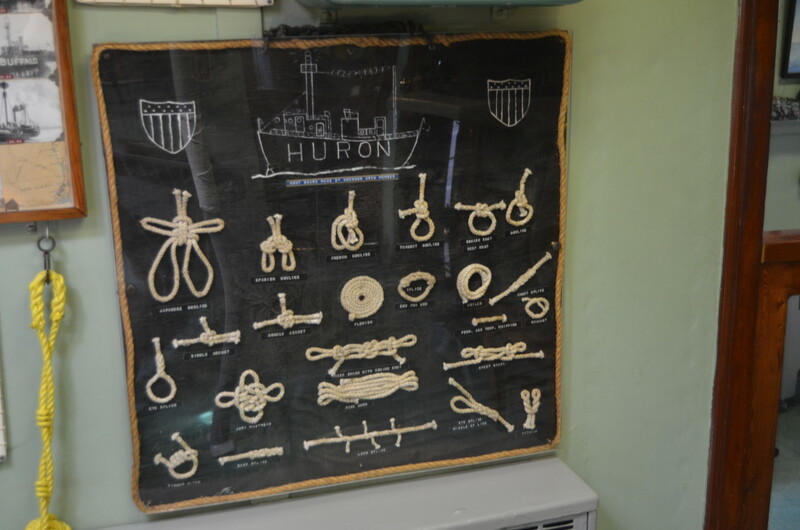 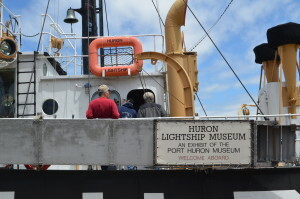 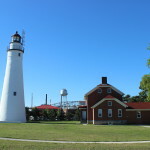 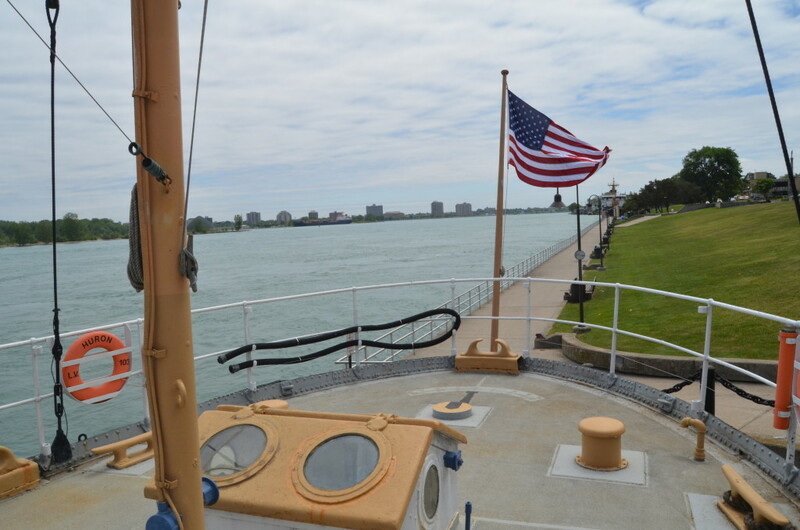 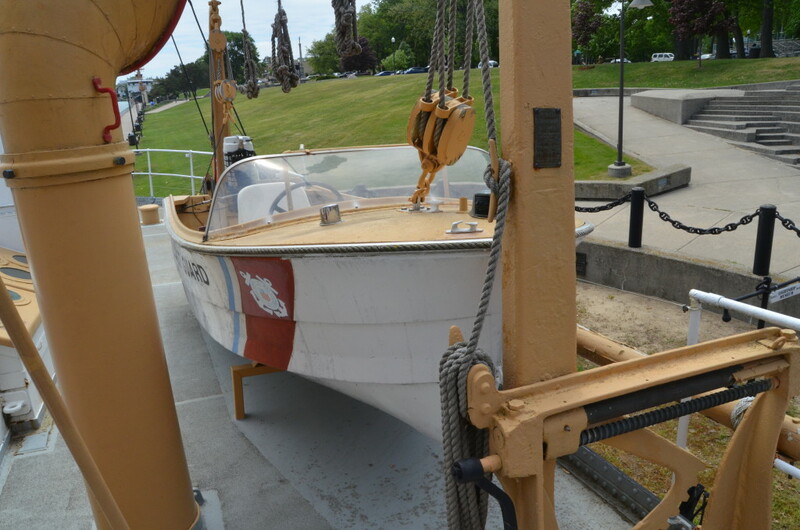 It is now open as a museum run by the Port Huron Museum (https://www.phmuseum.org/huron-lightship/). 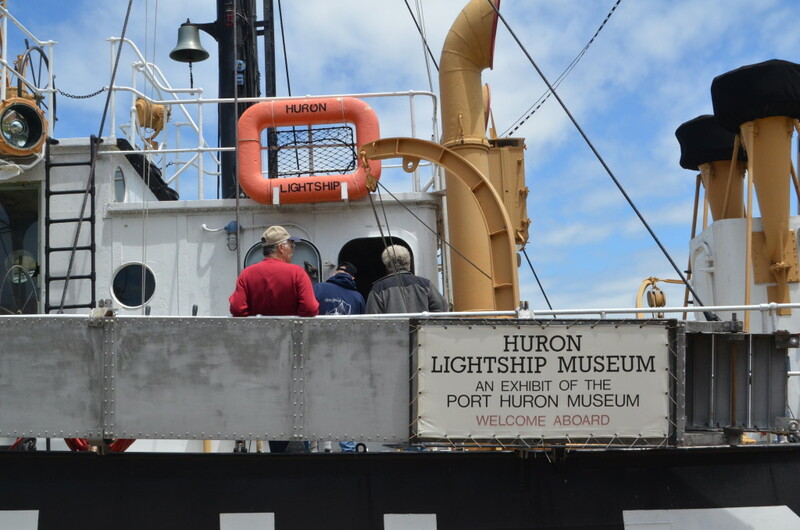 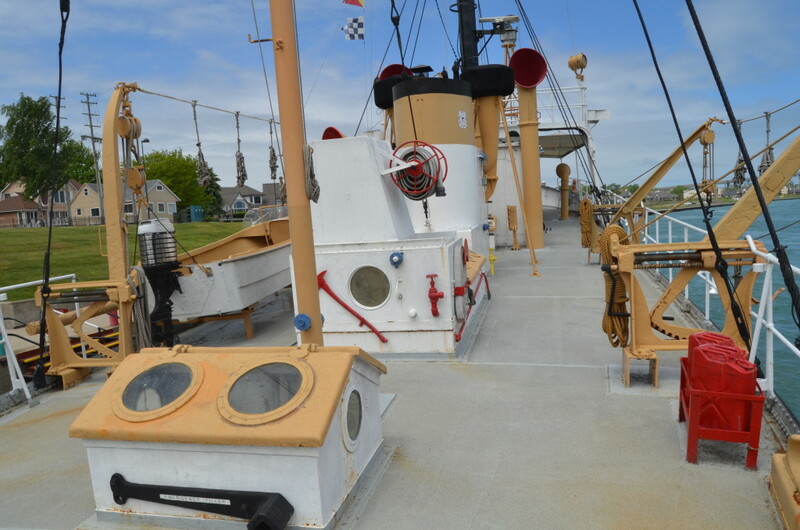 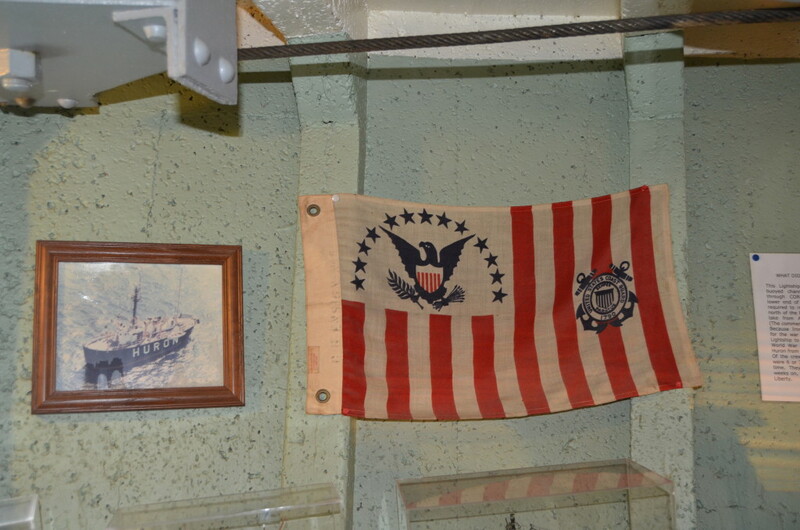 We had a chance to tour this historic ship in June and would like to share a few of our photographs from that visit. 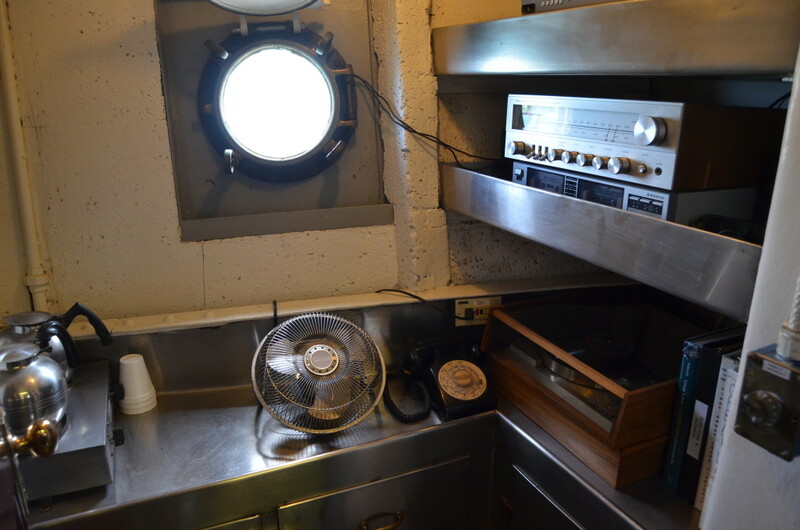 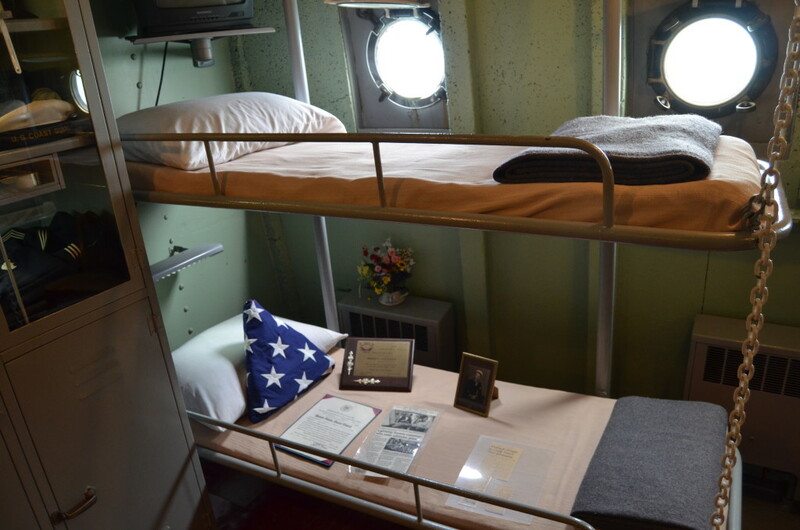 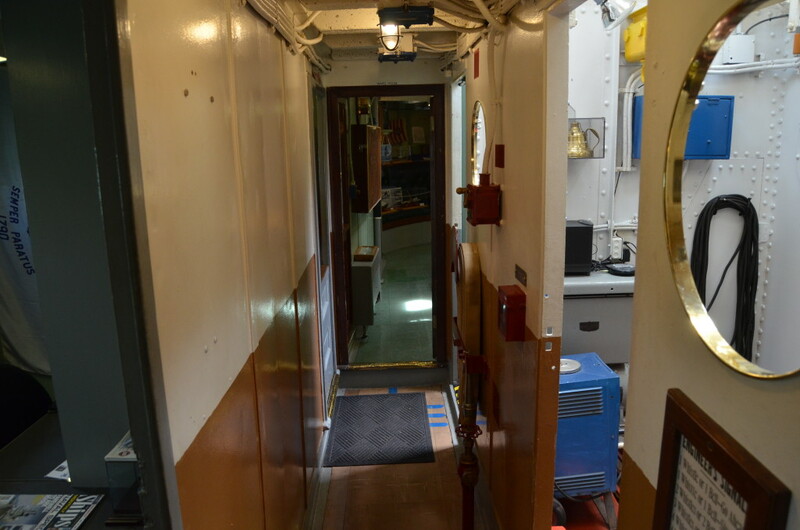 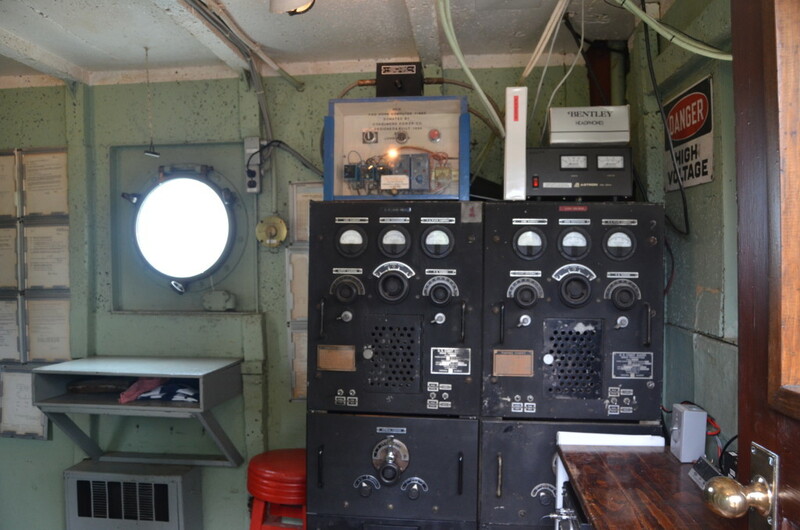 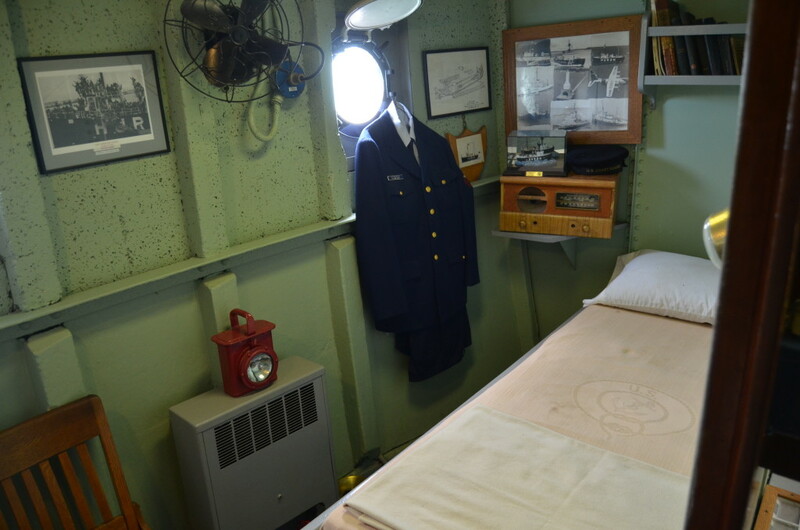 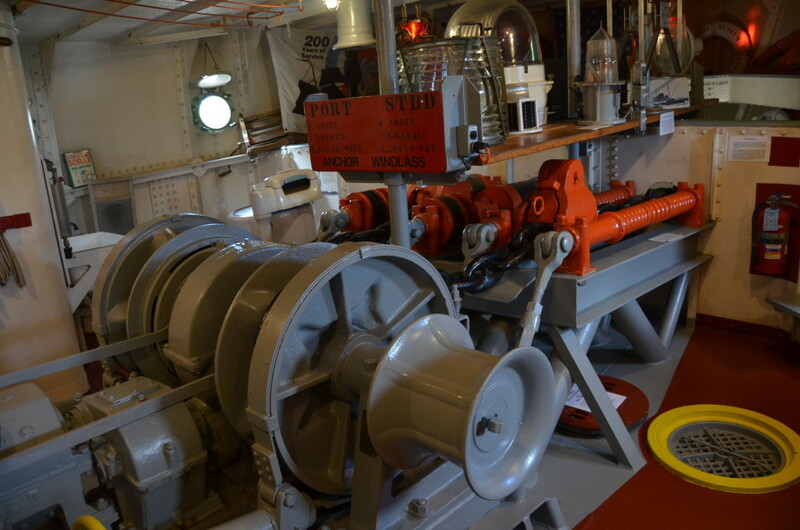 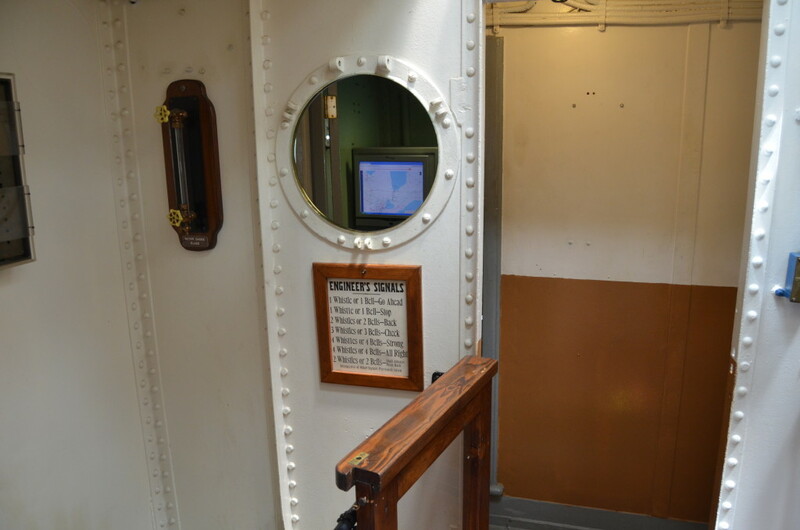 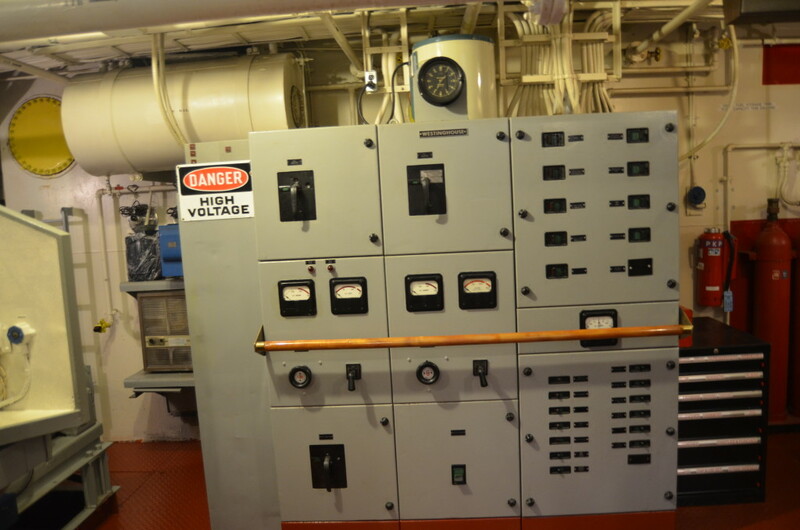 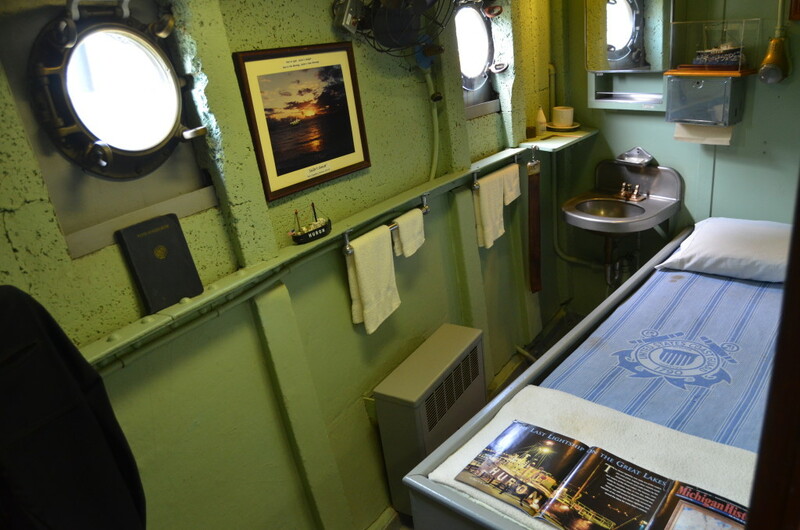 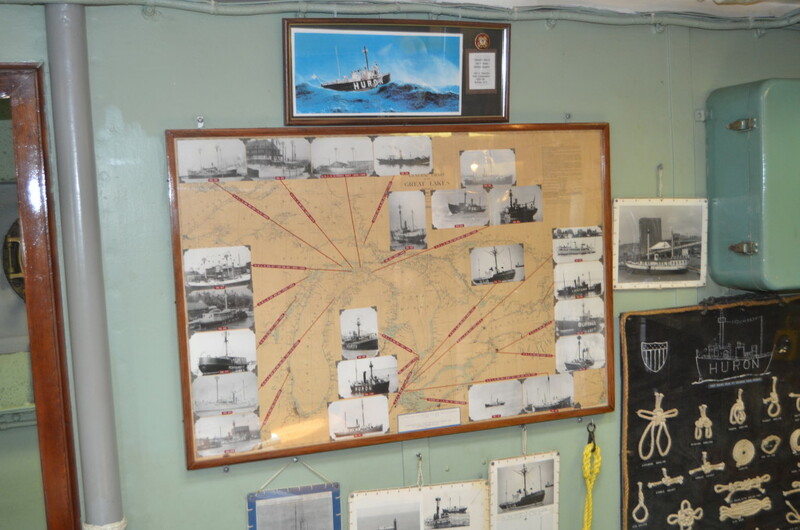 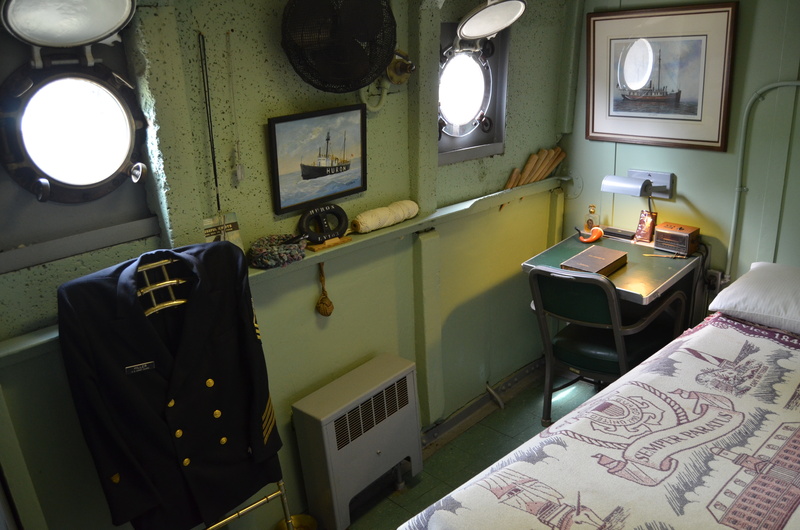 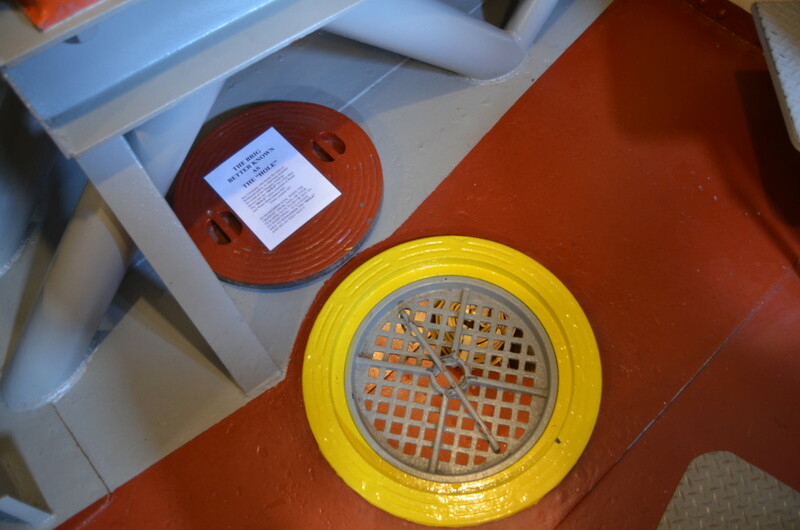 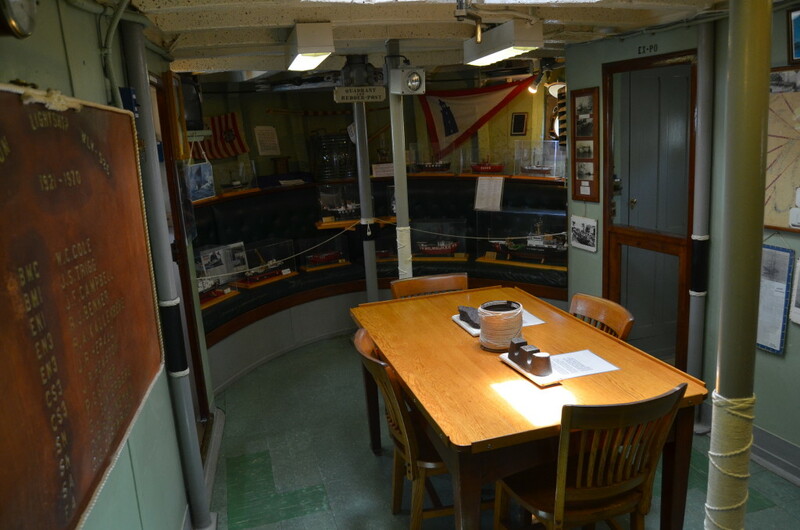 Interior exhibits include restored crew quarters, displays about other lightships, nautical artifacts, the radio room, and more. 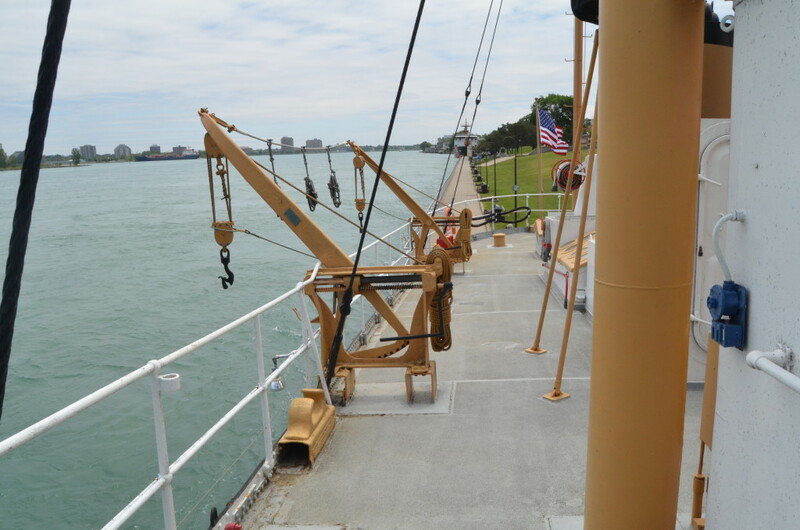 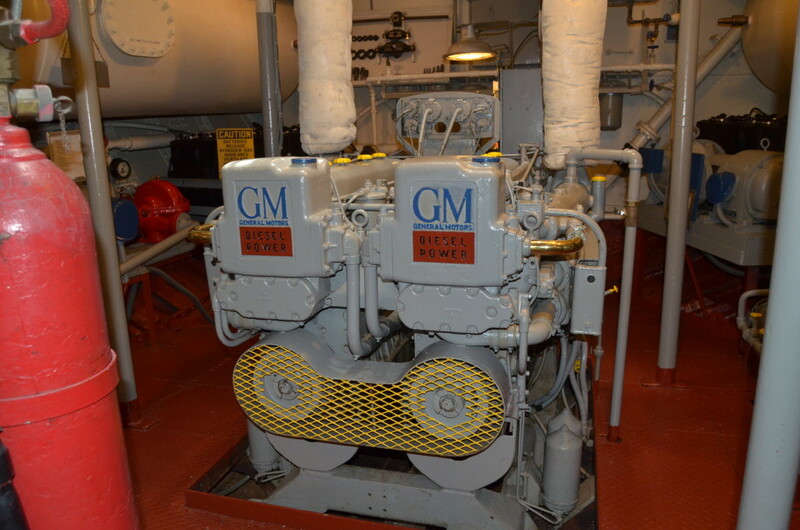 Some highlights for us were being able to walk around on the top deck for a different view of the Black River and its landmarks, thinking about how tight things could get while living and working on the ship, and seeing the engine room. 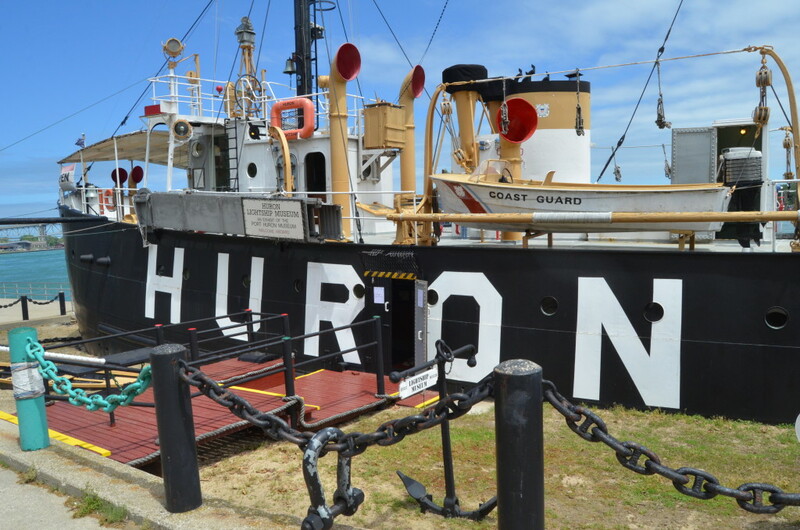 This was a fun and unique museum that we would definitely recommend – the whole family should love it!